When you go camping, you're sure to bring a lot of things: coolers of food, tent, sleeping bag, cooking tools, etc. 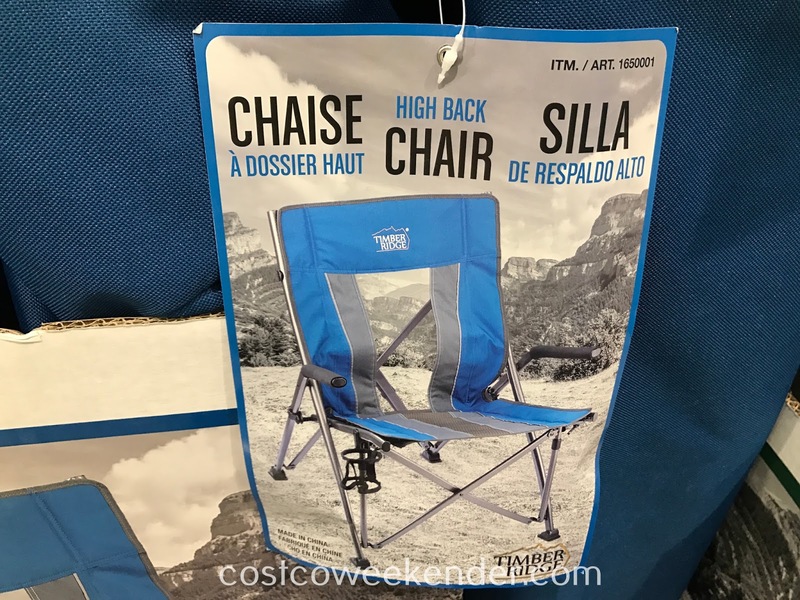 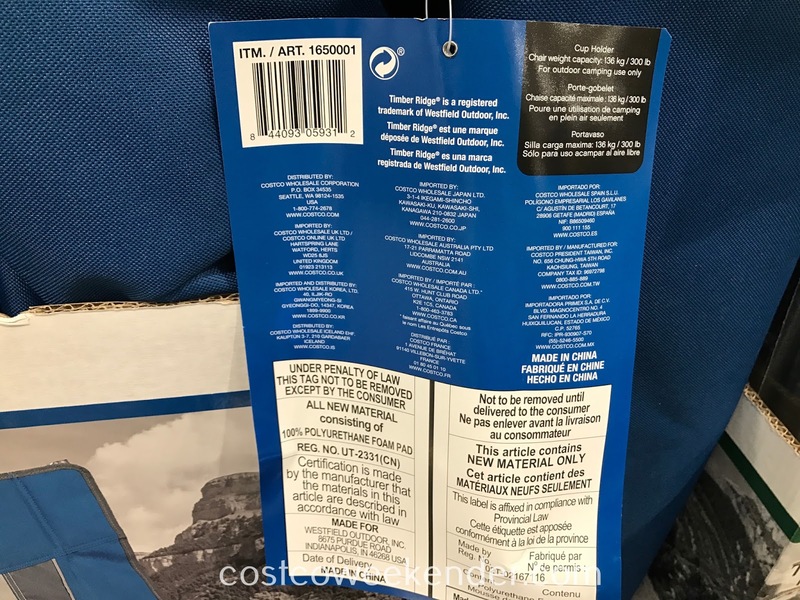 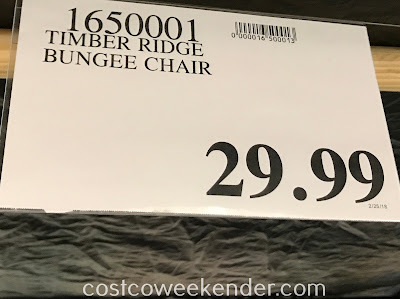 What thing that is essential to camping is a good chair like the Timber Ridge High Back Bungee Chair at Costco. 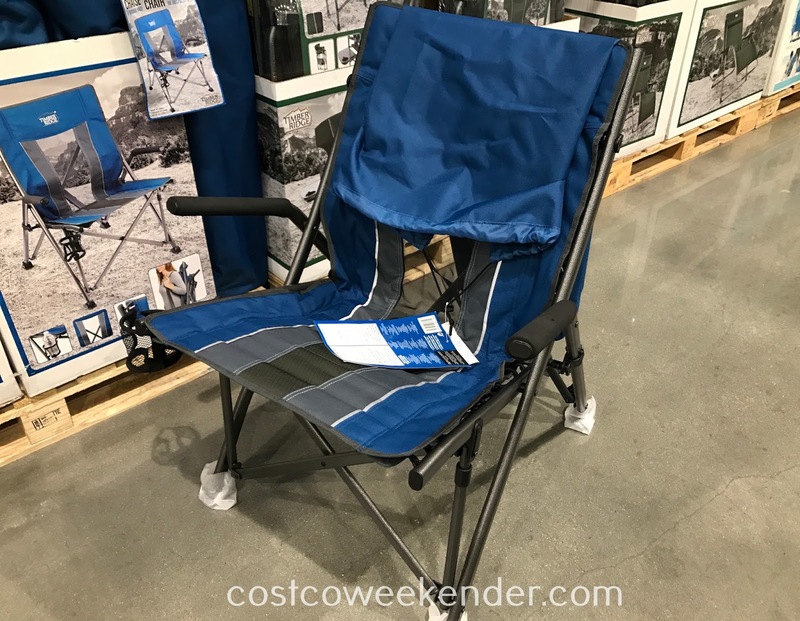 It's lightweight and easily folds up, so that you can take it with you when you decide to go camping. 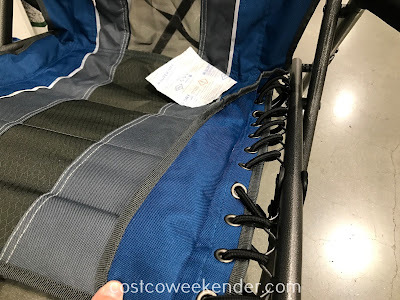 It even features a convenient cup holder for a cool drink. You not only can use it for camping, but it can be used for tailgating before a football game, picnics, or just to use in your backyard if you want to soak in the sun without having to leave the house. The Timber Ridge Bungee Chair will prove to be very useful for you and your family.